Oh my lanta. If I could use the praising hands emoji right now, I would, and direct it at Carrie Aarons and her amazing writing skills. FOUND was already sure to be a good book for me, I couldn't wait to read more about Tucker and Charlotte, but I definitely wasn't expecting the differences three years down the road. When I said I wanted character development, I wasn't expecting how great Carrie would be at writing the growth both characters went through as they dealt with the aftereffects of what took place in LOST. I am beyond impressed and I can't stop going on about it! FOUND closes up the questions left open in LOST, providing a soft cushion to land on after the emotional cliffhanger we were left with. While I found LOST to be extremely unique, FOUND was realistic and you could see the work that went into developing the storyline and the characters. Once again we get a glimpse at Charlotte and Tucker's life before, during, and after LOST took place. The struggles in FOUND are emotional, they're heavy, but are also huge motivators for the characters. I loved the dialogue between Charlotte and Tucker, I loved the dialogue they shared with others around them, and how it all worked together. 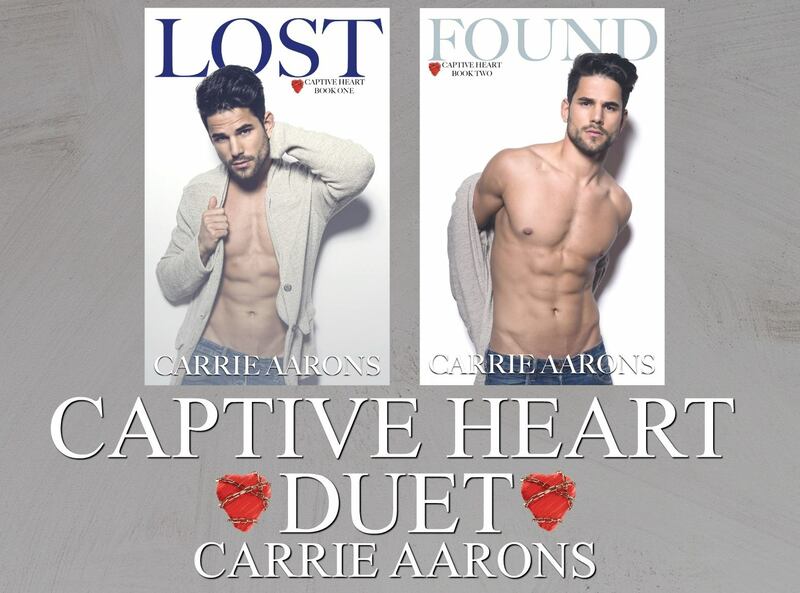 LOST and FOUND, though they are two halves of one duet, read very different from one another. LOST took place in one setting, with the characters experiencing different feelings and sharing different perspectives that tied together. FOUND made the characters stand out as individuals for me, both were going through different after affects from their previous experience and had found themselves as very different people. The struggles they face as they find one another again had me so desperate for them, hopeful they could find the motivation and strength to overcome, and I felt the characters' feelings in my soul. I couldn't put it down and I would suggest this duet to anyone and everyone, especially those seeking a romantic, heartbreaking, and beautiful story.